Education needs, who were having some difficulties with letter recognition, I decided to try this idea and the kiddos LOVED it. They ask if they can trace and say the letter every time I work with them! 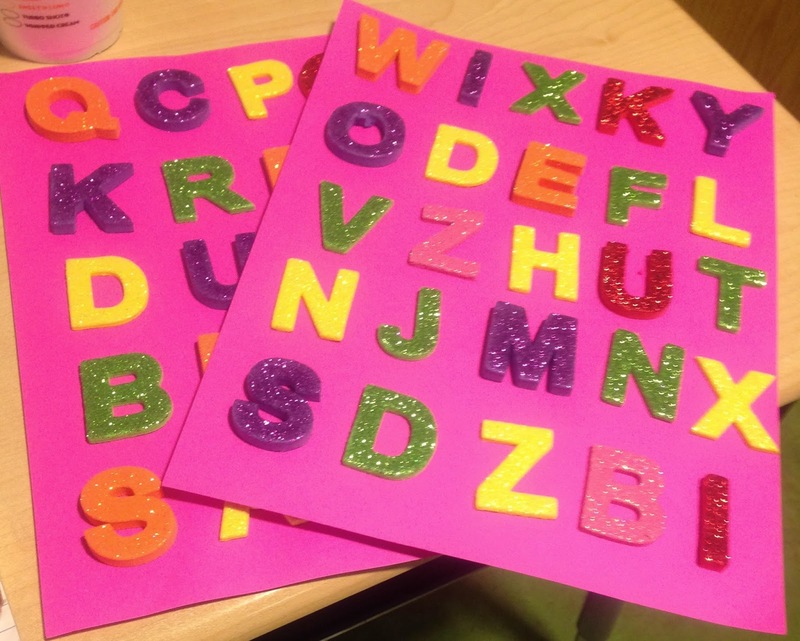 I simply took some "sparkle foam letter stickers" and stuck them onto some paper. As the children look at the random letters, they trace and say the letter and sound. So for W, they would say, W, /w/, wind or any word that they know that might begin with that beginning sound. This was so easy to make and the sparkles feel like sandpaper when you trace them so the students are getting tactile and sensory needs met. Why not give it a try? ( I now have to fins some lowercase letters, but for now this is working quite well!!) ENJOY!